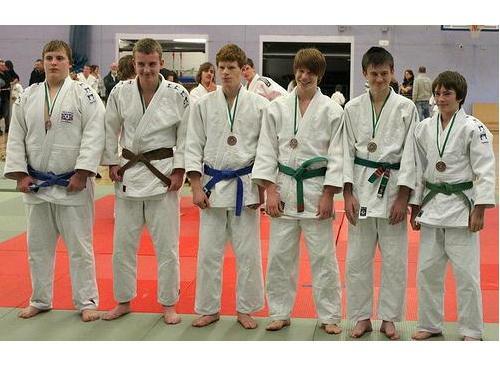 Bradley Stoke Judo Club Coaches with their British Championship medallists. 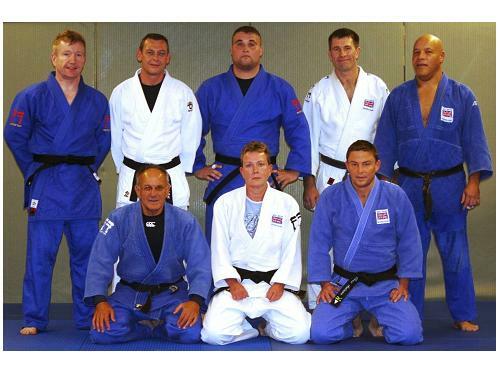 Dowty Club Coaches with their British Masters Squad. 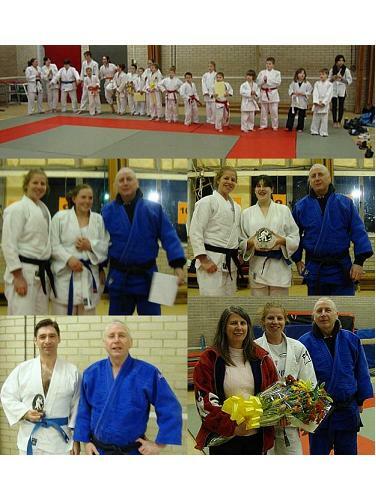 British Champions 2012 - Maria Ritchie is shown in the picture middle front kneeling, with Chris Andrews on her left. 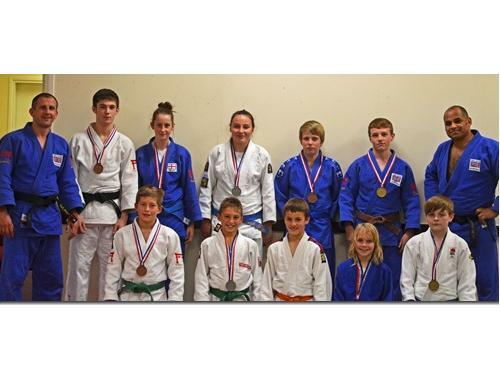 Presentation of awards at Newent. 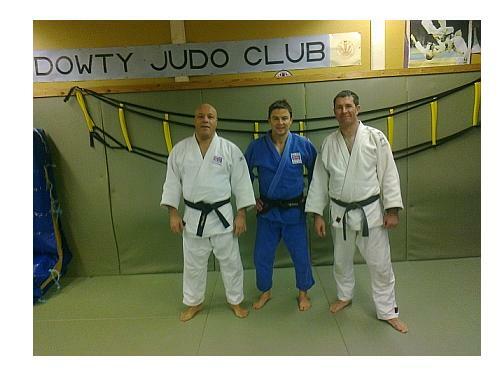 Left to Right: Dean Douglas - SILVER, Chris Andrews - GOLD, Dave George - 5th.